A recent survey has found that Singapore workers are spending more hours at work relative to their regional counterpart, resulting in workplace stress. * Together with the sedentary lifestyle from sitting at the desk the entire day, Singapore workers are facing increased risks of high blood pressure and heart diseases. Now what has that gotta do with today’s post? Read on..
Collagen is necessary to support the skin’s structural foundation to improve firmness and elasticity for youthful and supple skin. 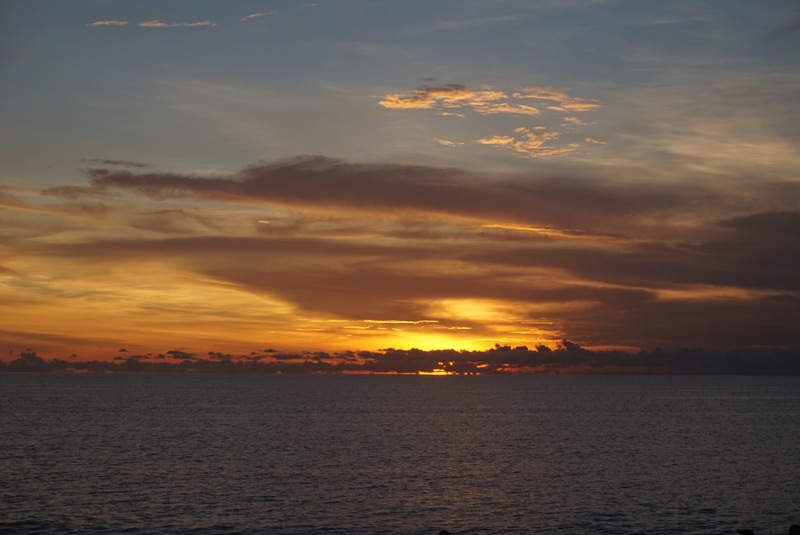 Astaxanthin serves as the perfect complement by acting as a natural shield against the collagen-depleting procedure. In containing both micro-collagen and astaxanthin, RubySignature™ formula defies the ageing process by performing a vital triple-action of supplying collagen, protecting against collagen degradation and delivering collagen efectively to skin cells..
Infused with natural pomegranate juice, BRAND’S® InnerShine® RubyCollagen makes for a truly delicious treat and an indispensable beauty oral supplement that addresses the heightened needs of aging skin. 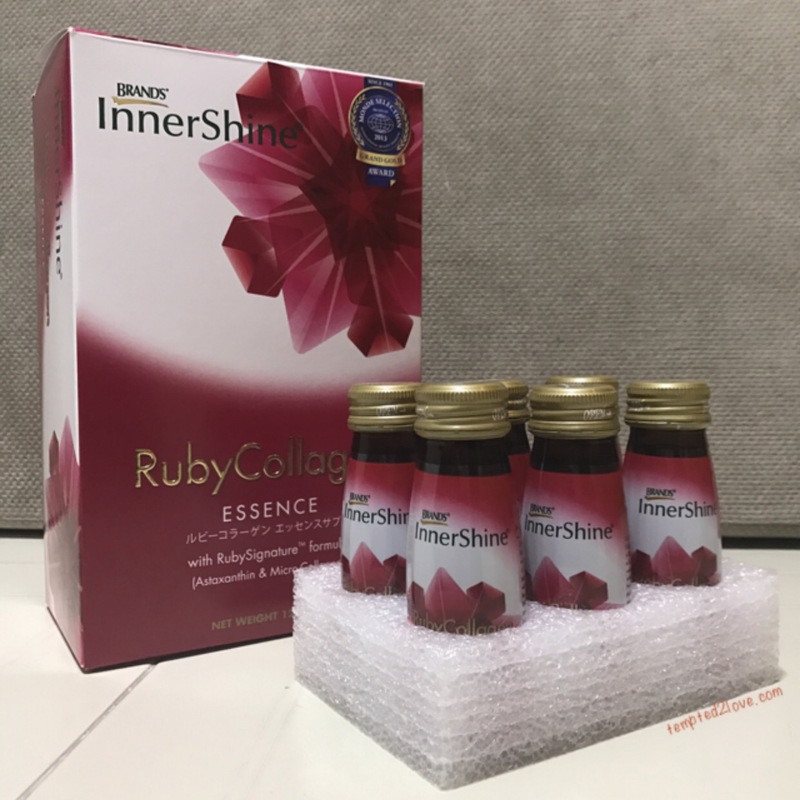 Designed to easily complement your existing topical skin care routine to form a comprehensive beauty regimen, the BRAND’S® InnerShine® RubyCollagen Essence range is available in both drink and strip formats. Daily consumption will help to ensure that your body is adequately supplied with the essential nutrients for optimal skin support and protection. For optimum efficacy, it is recommended that BRAND’S® InnerShine® RubyCollagen be consumed twice daily to experience the skin age-reversing diference in 6 weeks*. I had drank this for about a week now. I can’t say it changed me totally but I can see the radiance on my skin every morning when I look into the mirror! (Can’t be sure if that the glow of entering married life or.. LOL) Anyway, I do like this product as it’s sweet and easy to bring around. 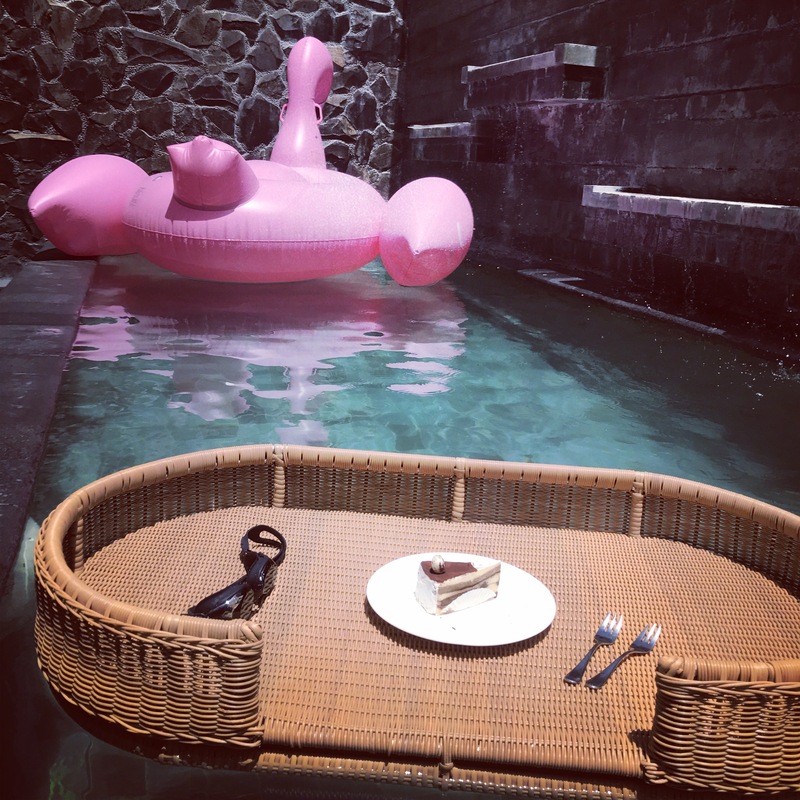 I’ve already packed it and was suppose to bring to Bali for my honeymoon trip but it slipped my mind..! Tsk! Nonetheless, not to late to start when I returned because there were breakouts on my face during my trip (caused by the wedding’s heavy makeup I believe)!! After consuming 2-3 bottles I started to see slight result – my breakouts are healing, skin getting better too.. Who doesn’t love to see a beautiful self? At least I do! Although this drink sweet (might be a lil too sweet if u don’t really like soft drink) but it can be tastier if it’s sparkling! Seriously, I can’t help to think that at my age, I really need the aid of collagen drink to help me maintain YOUTH!!! hahaha! If I didn’t recall wrongly, an average person will need 5000mg of collagen per day and consistancy is the key..! Just drinking 1-2 bottles a day, you’ll get smoother skin, firmer skin, less wrinkle formation.. WHY NOT??? Infused with natural pomegranate juice, BRAND’S® InnerShine® RubyCollagen makes for a truly delicious treat and an indispensable beauty oral supplement that addresses the heightened needs of aging skin. Designed to easily complement your existing topical skin care routine to form a comprehensive beauty regimen, the BRAND’S® InnerShine® RubyCollagen Essence range is available in both drink and strip formats. Daily consumption will help to ensure that your body is adequately supplied with the essential nutrients for optimal skin support and protection. 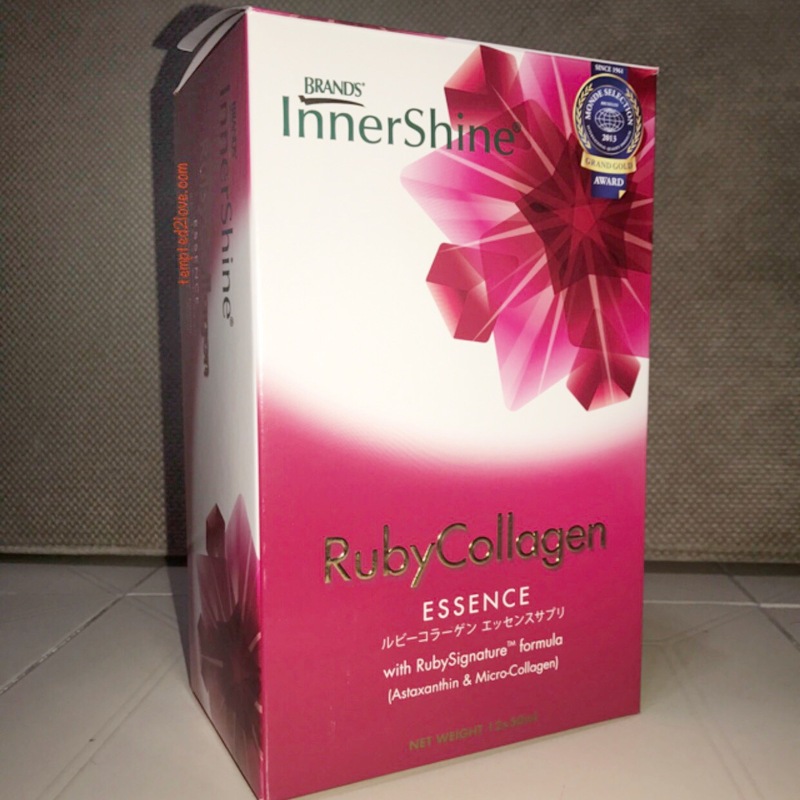 For optimum efcacy, it is recommended that BRAND’S® InnerShine® RubyCollagen be consumed twice daily to experience the skin age-reversing diference in 6 weeks*. Developed with a winning combination of scientifically proven health-enhancing ingredients, BRAND’S® InnerShine® is a modern range of beauty wellness supplements to help you promote beauty from within. Don’t let your lifestyle stand in the way of feeling great and looking fabulous. Let BRAND’S® InnerShine® bring out the best in you. Now, if you’re keen in getting your hands on BRAND’S® InnerShine® RubyCollagen Essence, head over to BRAND’S® e-Store! This collagen drink is exclusively available ONLINE only. 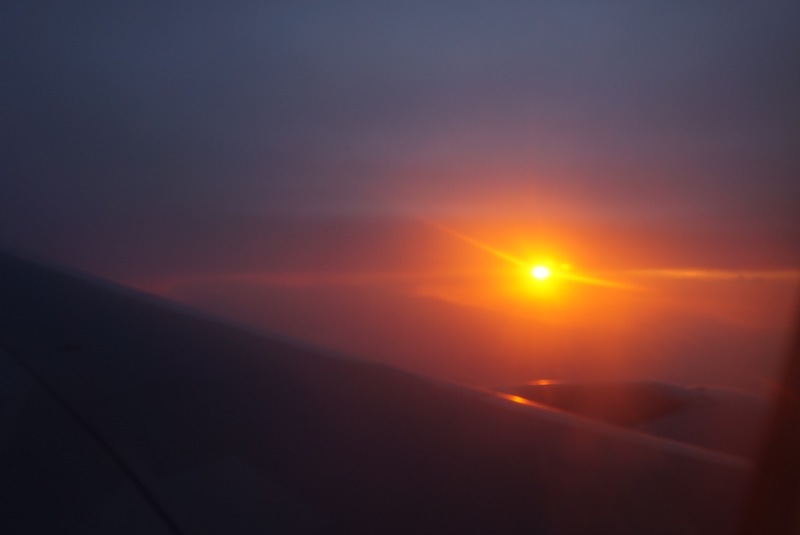 A heaven for taiwan products lover! 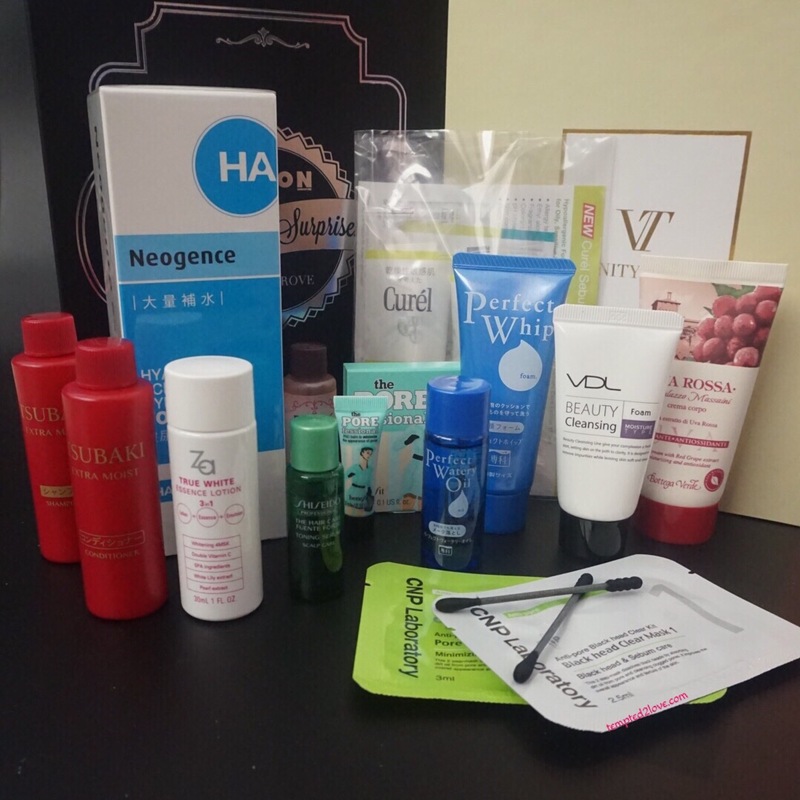 They bring innovative, novel & award winning Taiwanese beauty products closer to you! Thanks to Samplestore, I get to try a few items from BeautyKeeper!! The first thing that caught my attention is SLIMWAY (Organic) Essential Oil! Ever thought how to get rid of those wrinkled, saggy skin after weight lost? This lil oil here is suppose to help you keep your skin firm, eliminate orange peel skin & regain skin elasticity as you slim down!! SLIM DOWN BEAUTIFULLY! It’s not only an essential oil, it helps you curb your appetite too! I’m not too sure able the curb appetite part, but i enjoy the fragrance of the oil, it helps me sleep better at night! HOW TO USE: Apply approximately 10 drops once in the morning, noon & night – massage! For extra strength, in the first 30 mins of use, apply 1 drop on the stomach & take deep breath for 1 min before you go to bed! After you’ve taken care of your body, let’s care for our beautiful face! Here we have MDMMD Wakeup Skin and Freeze Age Essence! By that name, I believe it’s not hard to tell it’s an anti aging product! The products reminds me another brand where to essence is thick and can gives your those doink-doink feeling! I gave this to my mom to try, hence will let you know the review once i hear from her!! Next up, the not very attractive packaging mask but I thought it was pretty good! 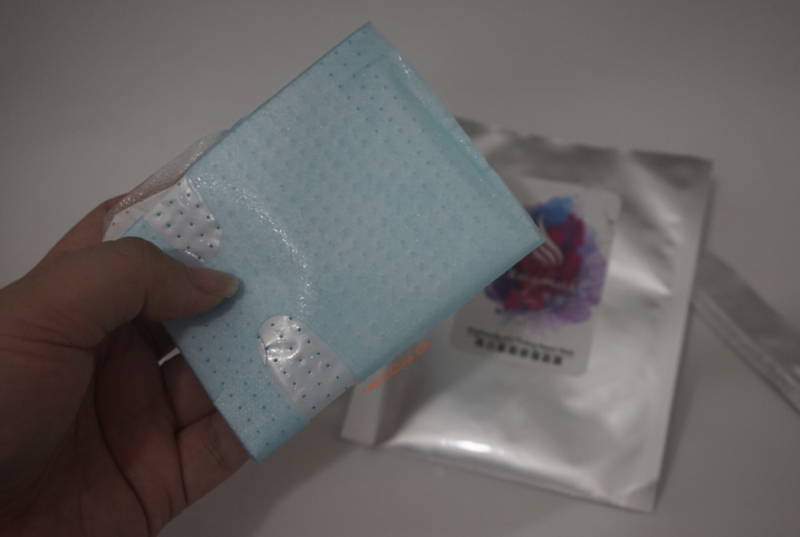 SEVYNAL – Brightening Firmimg Repair Mask is made with VICERAL which can be composed when buried in soil. If you ask women,”What’s your dream?.” I believe 80% would say they want to stay forever young! If that’s you’re goal, then this is the right product that you’re looking for! The mask is very fitting and it leaves a very smooth after effect when you’re done! Last but not least! 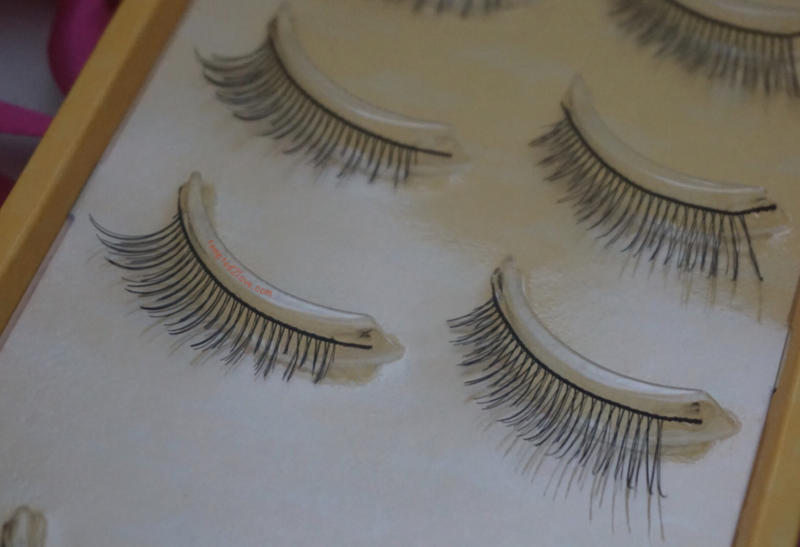 All Belle Falsie! Looks decent.. but looking at the manufacturing date (4.5 years ago), I’m not sure if i will wear it out though. 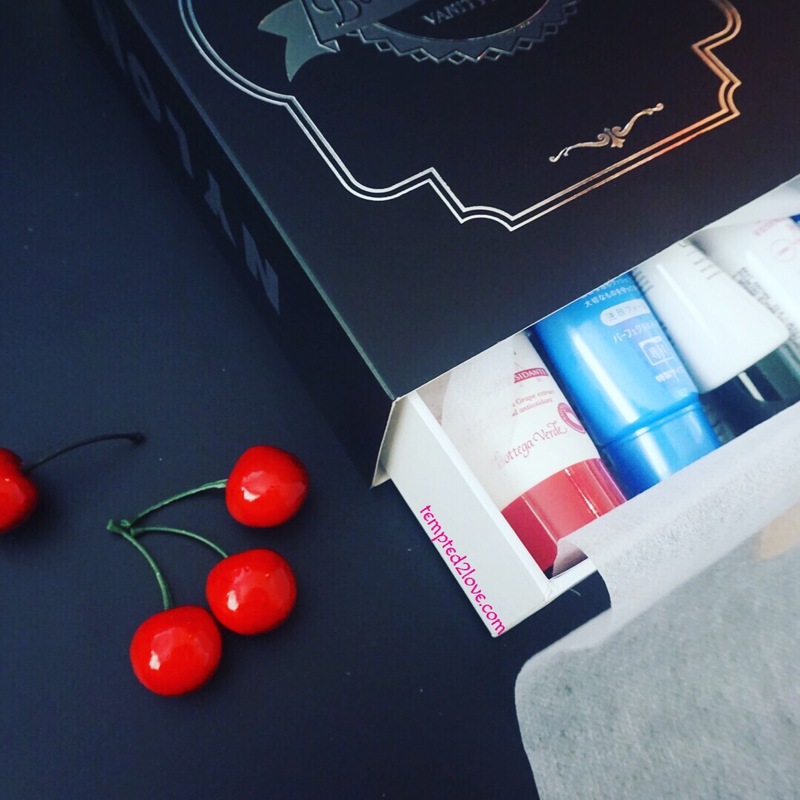 Overall, I think I still think BeautyKeeper is a decent platform where you can get Taiwan Beauty Products!! Head over to give it a try..
Beautiful Skin for my Bridal Shoot!!! 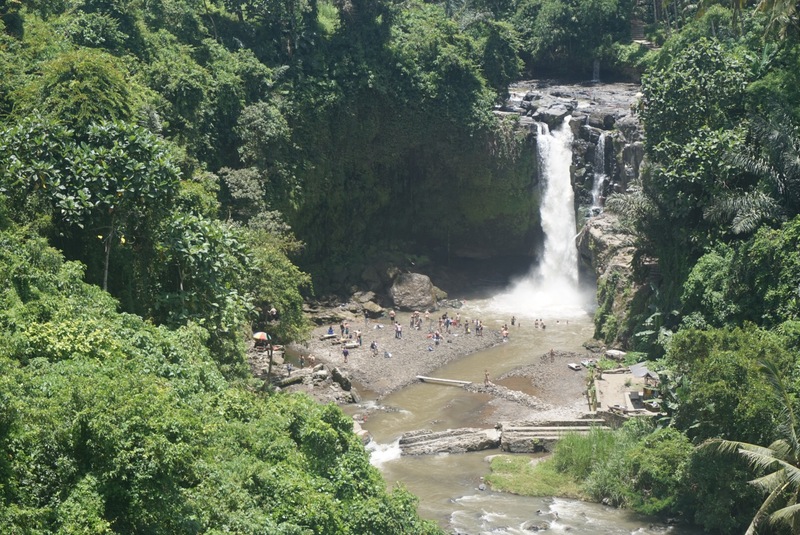 So what brings me here today if weekend is already so tight schedule? It is because i had accepted an invite to write a post! This product came at the RIGHT TIME and i did not hesitate a second to accept it! My pre-wedding shoot is happening next week and I totally need to have a beautiful skin more than any other time!!! This beauty drink is definitely my short cut to beautiful skin with no pain at all!! You must be thinking.. There’s already so many kinda beauty drink out there in the market, what makes Avalon’s so special? Orchid symbolizes luxury, love, strength and beauty. It represents refinement and perfection. 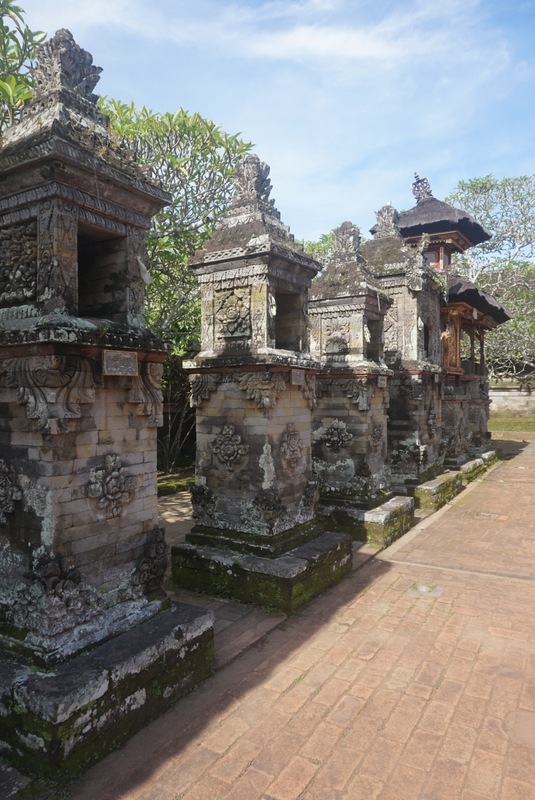 With more than 25,000 species of orchids and over 100,000 hybrids growing throughout the world, these exotic flowers have been a part of many cultures since a long time back. Orchids were used to promote good health and cure diseases by the ancient Chinese, ancient Aztecs brewed a strength potion from its flowers to obtain power over their enemies, Europeans used it in Love potions and the Geeks used it for fertility. Today, Orchid extracts (the flower as a whole) are use in multiple varieties of products including hair care, body care, and skincare products. However researchers have found a breakthrough in an untapped part of Orchids; its stem cells. Do you know? Fundamental to having good skin is maintaining healthy skin cells. To fully benefit from any oral beauty supplements or skincare, it is important to have healthy skin cells to fully absorb and locks in the skin beneficial nutrients. Research discovered Orchid Stem Cell is a powerful antioxidant and possesses strong anti-inflammatory properties, particularly young orchid stem cells protect the skin from environmental damages while hydrating and renewing our skin cells thus making it an excellent youth revitaliser which works on almost all skin types. AVALON ™ Stem Cell Beauty Drink the first beauty drink in Singapore that contains Young Orchid Stem Cells. Enhanced with Litchi Seed Extract, Premium French Marine Collagen and a combination of Fruit Extracts, where taken together helps to repair and rejuvenate our skin cells, retain skin’s moisture, brighten skin tone, tighten pores, improve skin firmness and reduces appearance of wrinkles and fine lines, resolving 6 major skin problems with just one product! And unlike most beauty drink in the market that has a thick texture and strong flavour, AVALON ™ Stem Cell Beauty Drink is made with Sparkling Water that not only adds a refreshing twist to conventional beauty but in fact sparkling water actually helps to boost nutrients absorption & promotes skin metabolism! In 7 days you can feel your skin being more supple and hydrated, and in 28 days (Our skin renews itself every 28 days) you can see your skin tone brightens up looking more radiant, pores appears to be tighter, wrinkles and fine lines will also look lighter now that your skin is more supple. Now you see why it’s SPECIAL! This SPARKLING DRINK totally caught me off guard! Sparkling leh! I haven’t tried beauty drink that’s sparkling yet and it’s definitely refreshing – like drinking soft drinks! I’m so motivated to drink it everyday before bed!! LOL!! Now that I’ve been drinking for more than a week, I can really see the difference in my complexion the next morning when I wake up!! 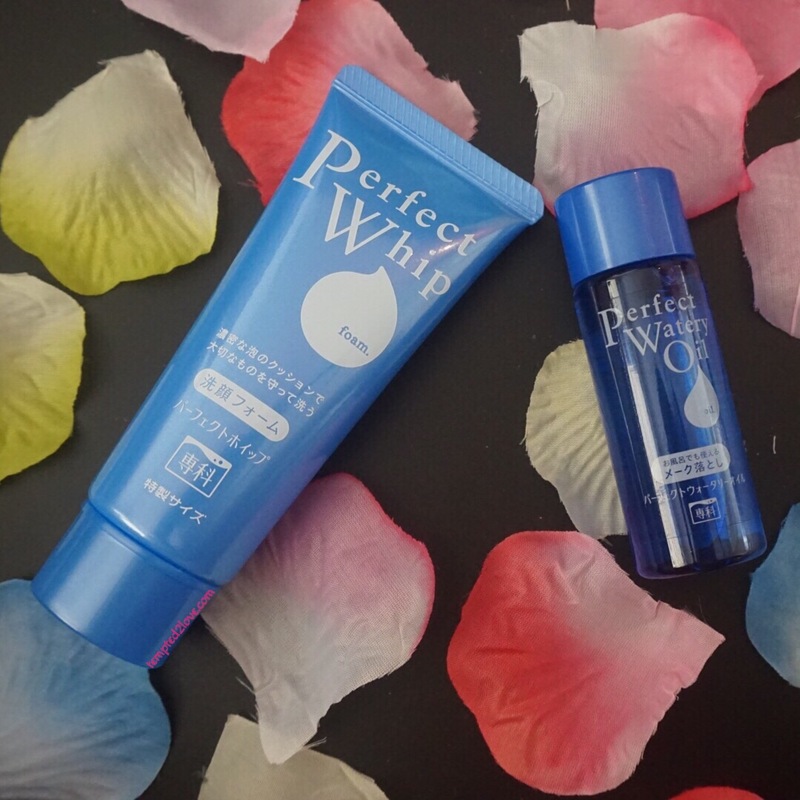 A more radiant wake up look and less oily pore…! This beauty drink is definitely a keeper! EXCLUSIVE PROMO FOR READERS: 20% OFF when you enter TSS-20OFF during your checkout! Only for ONLINE purchase! Last but not least, stay tuned to SAMPLE STORE FACEBOOK PAGE as there will be a giveaway on 17 October!!! Meantime, feel free to head over to Sample Store to read more reviews of Avalon Stem Cell Beauty Drink! 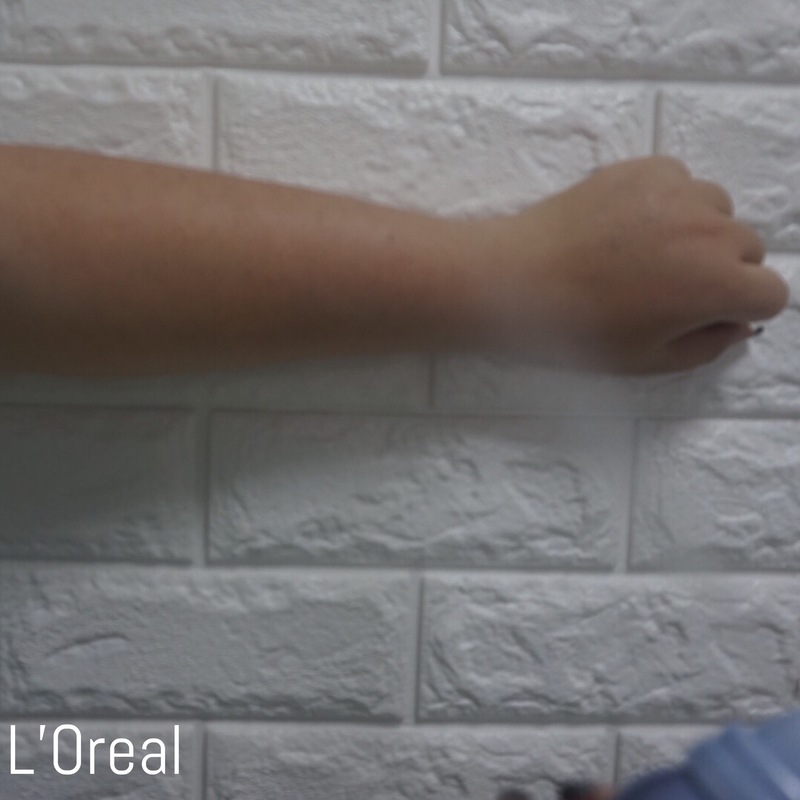 Recently I saw lotsa advertisement on sunblock spray! 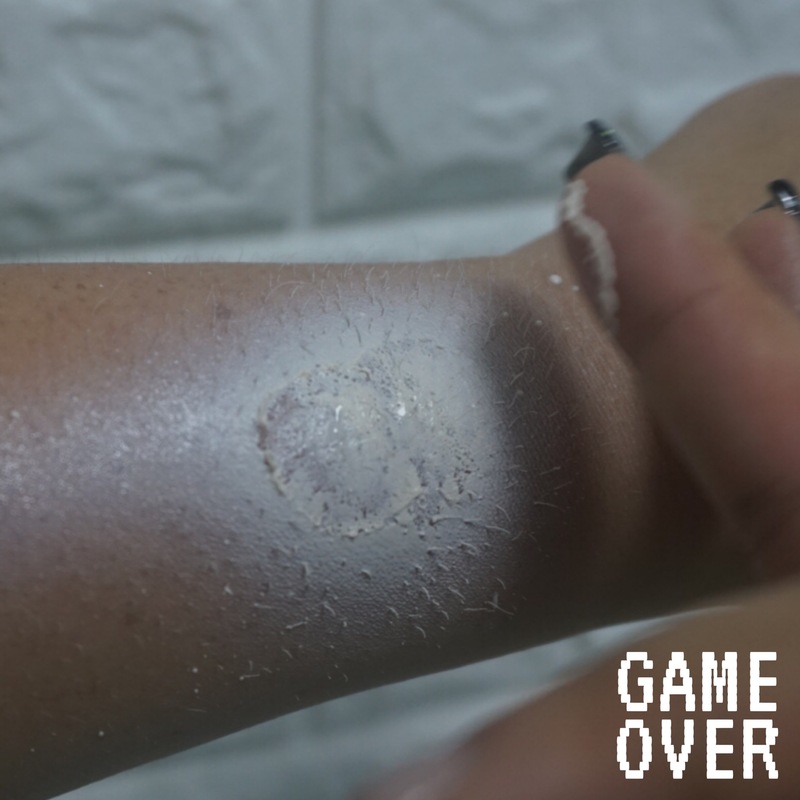 Sunblock spray is nothing new actually.. Few years back, I tried Enavose sunblock spray! It’s really convenient and hassle-free! 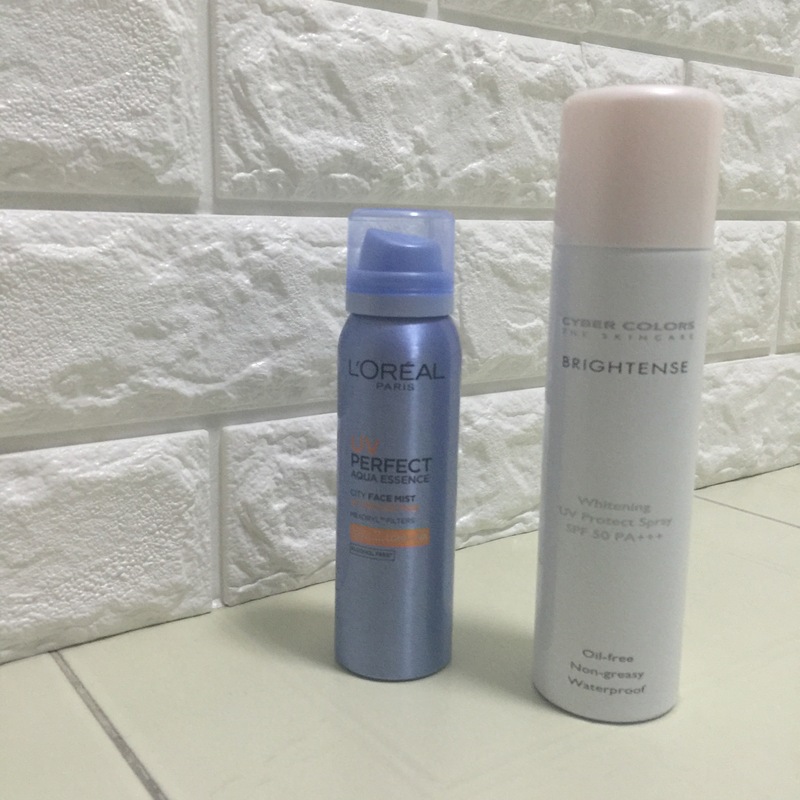 That’s why here we are – a post for sun block spray!! 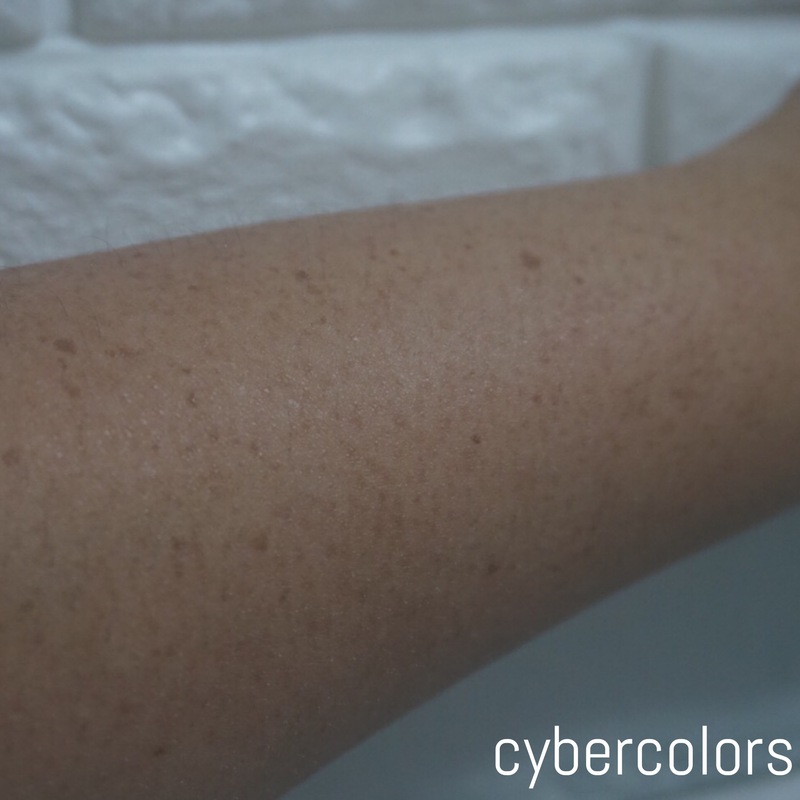 Today we’re comparing Cyber Colors and L’Oreal! Bought Cyber Colors from JB’s SaSa! It cost about RM65 each but because there’s a 50% off promotion if purchase 2! So it’s as good as 1 for 1! SPF 50 / PA+++, totally full defense!! NG-Scene: Didn’t shake well enough and ended up with super thick sunblock on my hand! EEW~ Conclusion, SHAKE WELL!! I have no idea how well it block away the UV but at least I am more motivated to apply sunblock on my body now since it’s so easy and convenient! The only thing about this is.. you can’t spray directly onto face, You’ll have to do it the traditional way, spray onto you hand, rub it and then apply on face. Hmm.. so convenient for body but not the face..
Now, say WOW! I thought Cyber Colors sun protection was good enough! However, this is even better!! SPF 50 / PA++++!!! Four PLUS!! Even more protection!! It’s the 1st ultra-light UV mist for face in a refreshing flash dry watery texture with 12H long-lasting UV Protection!! Overall, both are as good! It really depends on what you’re looking for.. 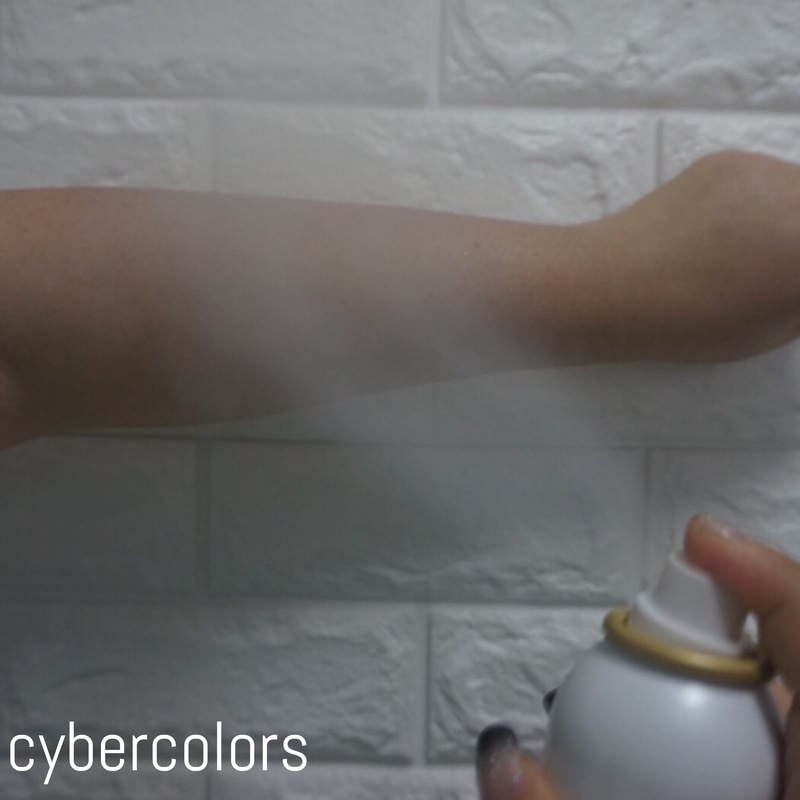 If you prefer a less oilier spray, Cyber color is for you! Smells good, not sticky, not oily.. However, if you wish to have the convenience of having one bottle and able to spray from head to toe, L’Oreal is good! 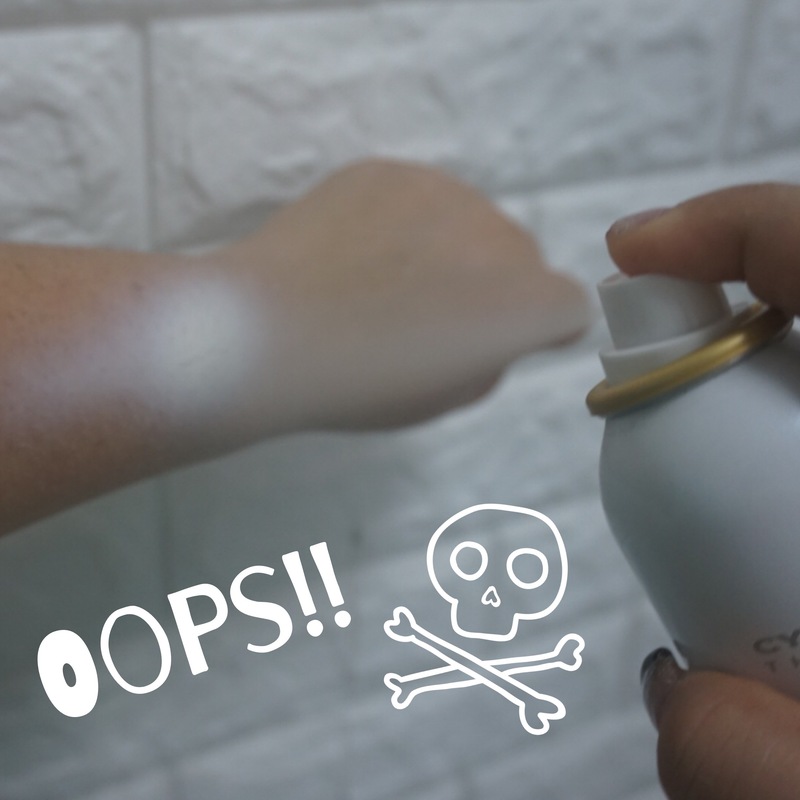 One compact spray-can that blocks all the UV! Save that pretty face!!! I know.. it’s already 2016 but it’s never too late to share good things. Today I’m sharing with you what I’ve got in NYLON x Vanity Trove November Edition!! 11 items in one trove and none are sample sachets!! Let’s take a look at my ALL TIME FAVE makeup remover!! This micellar water effective remove makeup and is gentle to eyes and great for sensitive skin. You can easily remove eye & lip makeup at one go too! 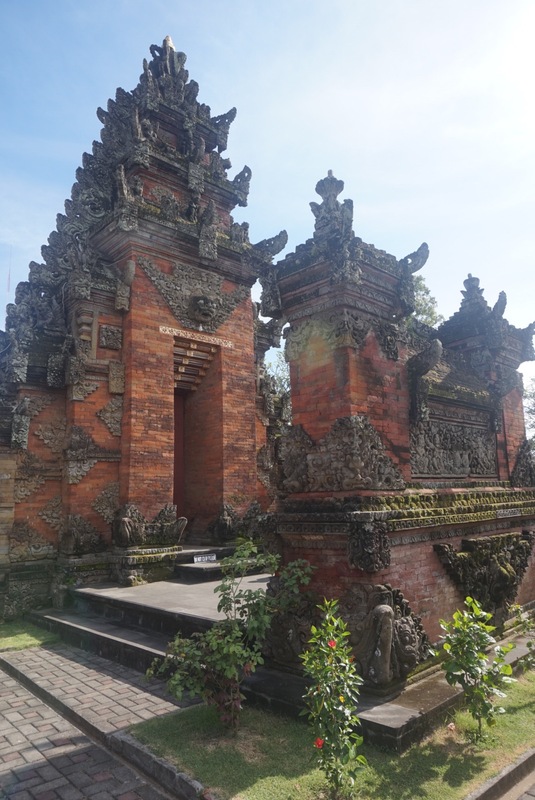 You can read more from here..
Curél, Japan’s No.1 Brand for Sensitive Asian Skin is formulated from Kao’s extensive dermatological science research. From face and body to scalp and hair, Curél’s hydrating and moisture-retaining ceramide care targets the actual causes of sensitive Asian skin and provides highly effective solutions to improve skin condition. Who doesn’t know about Biore!? 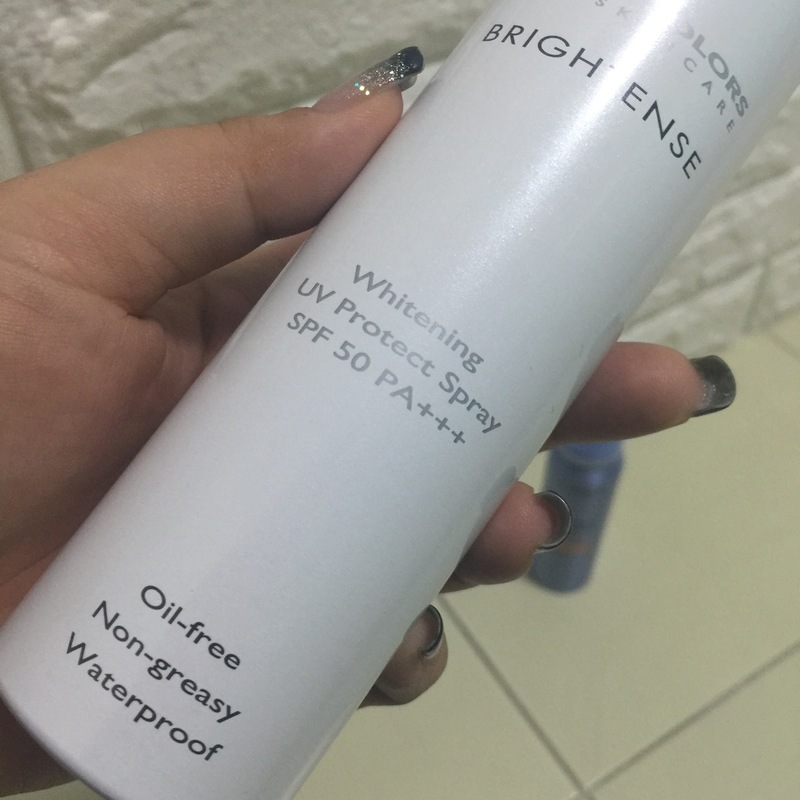 Biore is probably one of the most popular known brand when you mention sun protection/makeup remover. Biore Aqua Rich Watery Gel contains unique Aqua Micro Capsules with UV block ingredient to provide superior SPF 50+/PA++++ protection while keeping skin cool and refreshed. It is enriched with Hyaluronic Acid & Citrus essence to hydrate and soften skin. Its water-based texture spreads easily and get adsorbed easily without a white cast. Suitable to be used on face and body. 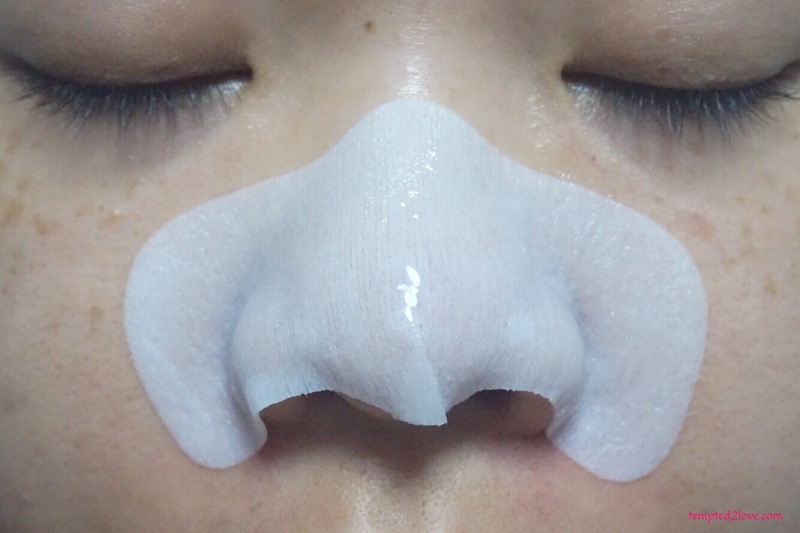 Next item is from Kao too, it’s MegRhythm Steam Eye Mask. 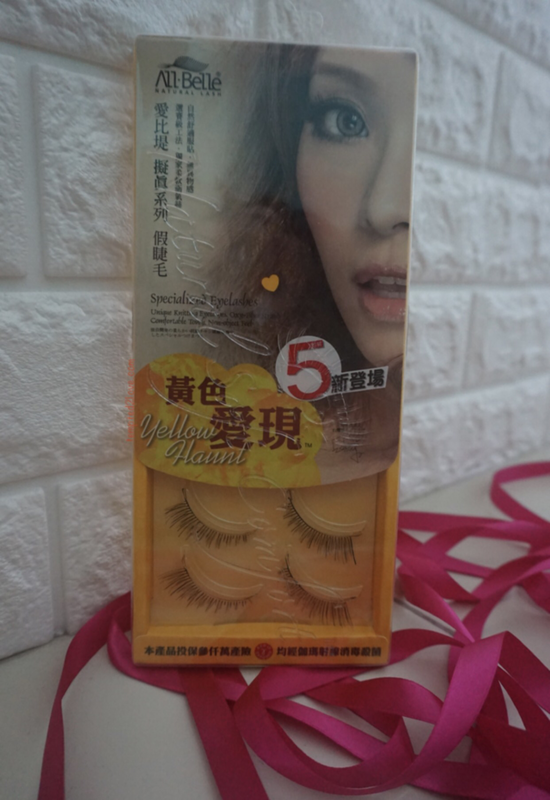 It relieve and relax your hardworking eyes! Treat your eyes to a steam bath, soothing them to a comfortable and relaxed state. If you’re not used to having something covering your eyes while u sleep, you might not like this. In my opinion, you just have to get used to it and you’ll love how it relax your eyes, especially the lavender scent! I fall asleep almost immediately (or am i too tired?). Who doesn’t know about Laneige!? Laneige Water Bank Essence_EX is one of the best selling product over at Laneige boutique! It give moisture to your skin and can keep skin hydrated up to 24 hours while improving skin’s texture!! A new generation of skincare unlike any you have experienced before. Contains a newly developed liposome using two varieties of phospholipids that contain beauty ingredients that actively target and work on the stratum corneum. Formulated to be biologically similar to the skin, the treatment liquid is able to penetrate instantly into the stratum corneum, achieving an immediate effect on the appearance and vitality of skin. Addresses dryness, irregular skin texture, roughness and dullness, giving firmness, translucency, softness and long-lasting moisture to skin. Suitable for all ages and skin types, including sensitive skin. Oil-free, paraben-free and allergy tested. I’m sorry I didnt take a good picture of this product!! But clear enough it’s a gift set! 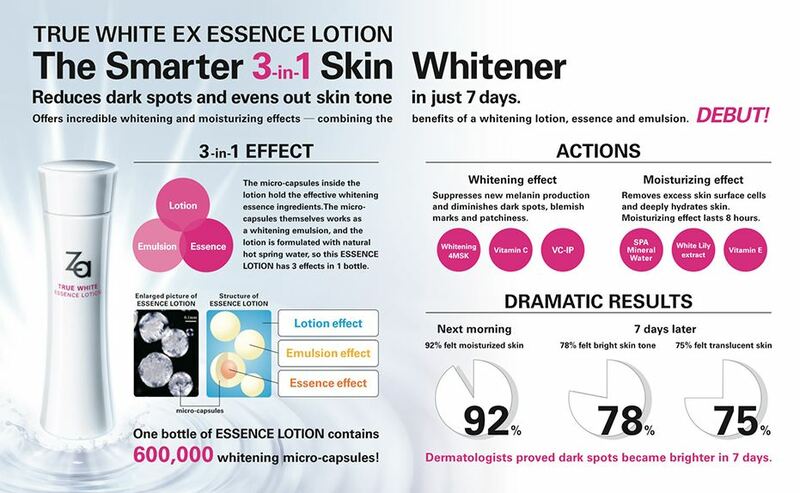 We have Seol Whitening Skin Balancer, Whitening Lotion and Whitening & Moisture Cream in trial size! Ok, I’m sua-ku! I don’t know about this good stuff at all! How can like that? This spray can be applied to both wet or dry hair directly without rinsing, in this way it can be used anywhere and at any time! Speaking of CONVENIENT! If you prefer the wash off hair mask, they’ve got you covered – Shiseido Luminoforce mask! LUMINOFORCE focuses on the decline of lipids inside the hair which makes hair coarse. Shiseido’s original “Reducing Hair Coarseness Technology” boosts the suppleness and shine to enhance the beauty of color-treated hair. Lipid Repair Agent (Olive-derived Squalane as a softening ingredient) – An ingredient derived from olives which closely resembles the properties of naturally occurring lipids found in hair. Has superior penetration and high affinity. 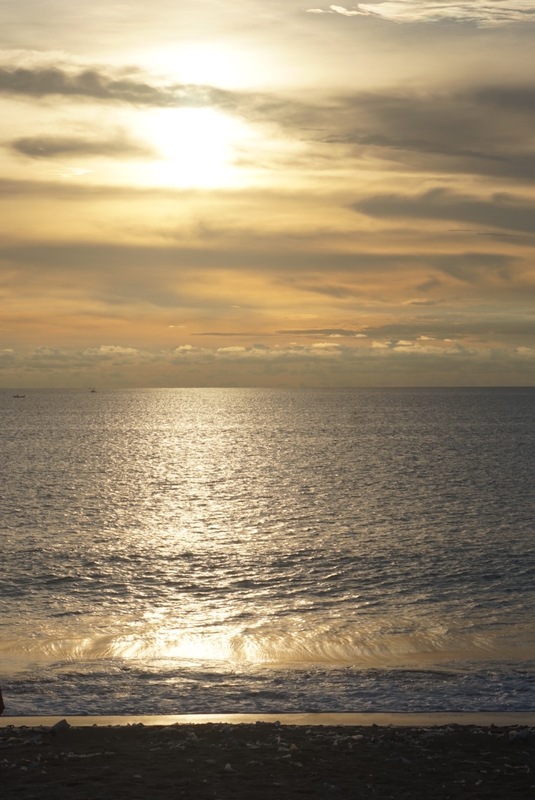 S-Hyaluronic Acid (Sodium Acetyl Hyaluronate as a moisturizing ingredient) – An ingredient with superior moisture retention that keeps the hair well-hydrated. Evening Primrose Oil and Arginine – LUMINOFORCE imparts gloss by repairing the hair inside and out. Evening Primrose Oil: Imparts gloss by protecting the hair surface. Arginine: Repairs melanin holes found inside the hair to control the scattering of light and enhance the luster from within. Fragrance “ORCHARD BREEZE” – A refreshing, soothing fragrance inspired by an orchard breeze, featuring a floral fruity note. It is a fresh and juicy fruit fragrance imbued with the gorgeous and natural aroma of the noble rose. Intensively repairs damaged hair to keep a suppleness and shine that complement the beauty of color-treated hair. Just use once or twice a week. After shampooing, gently remove excess water. Take an appropriate amount of the Mask and work through the entire hair. Leave for 3-5 minutes, and rinse thoroughly. Time for my favourite session! Unboxing NYLON x VANITY TROVE! Today I am going to show you what I’ve got in my Oct edition Nylon trove!! Again, I have a trove full of goodness!! We have sample size, travel size and even FULL size product!! Wow…Nearly all are popular brands!! I’m sure most of your out there are no stranger withh Tsubaki! 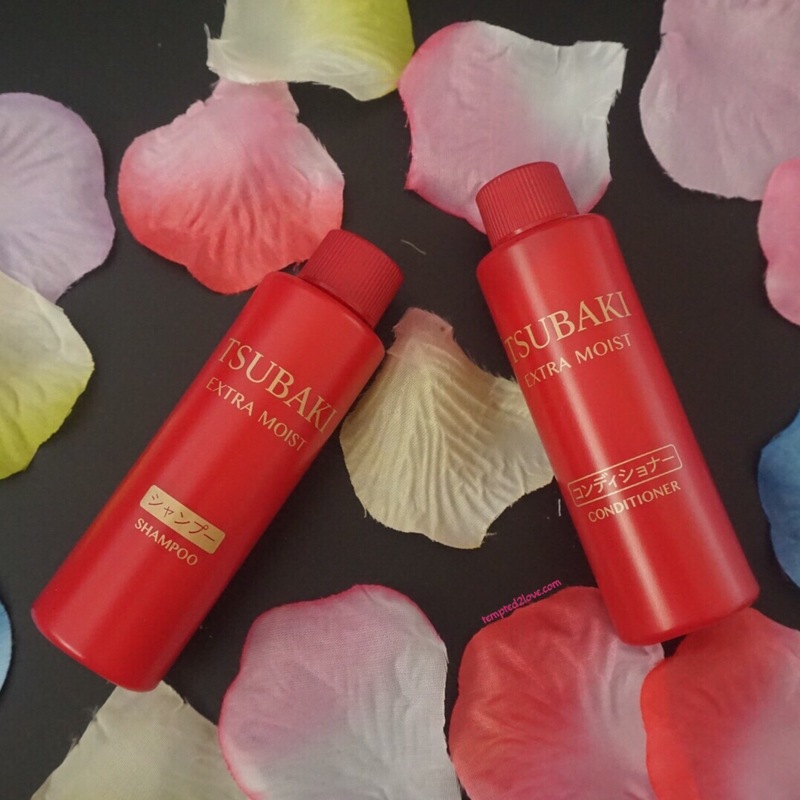 Tsubaki is one of my favourite hair care brand! I love their conditioner – it give my hair shine and smoothness that last! 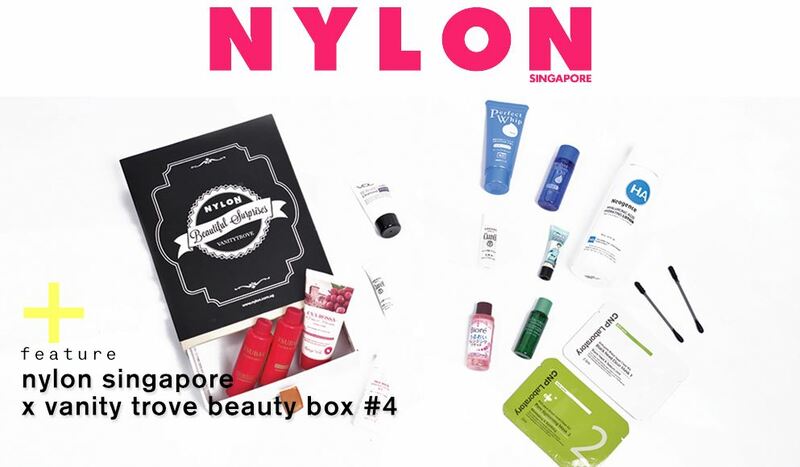 In Oct’s Nylon Trove, we are getting this 40ml Extra Moist set! Hair can get moisture from inside and scalp can be soft too! Why? Camellia Oil and Rice Malt infusion technique – Includes Camellia Oil and Rice Malt S (fermented extract of camellia oil, rice malt and sorbitol : softener and moisturizer for hair and scalp). Apply it thoroughly over scalp and massage. Your scalp gets relaxed and the hair is moisturized from the inside. Feel a blissful improvement in texture. Shiseido Professional The Hair Care Fuente Forte Toning Serum addresses concerns such as dryness and itchiness. Replenishes the scalp with moisture and creates a healthy scalp environment for growing beautiful hair. Next up! 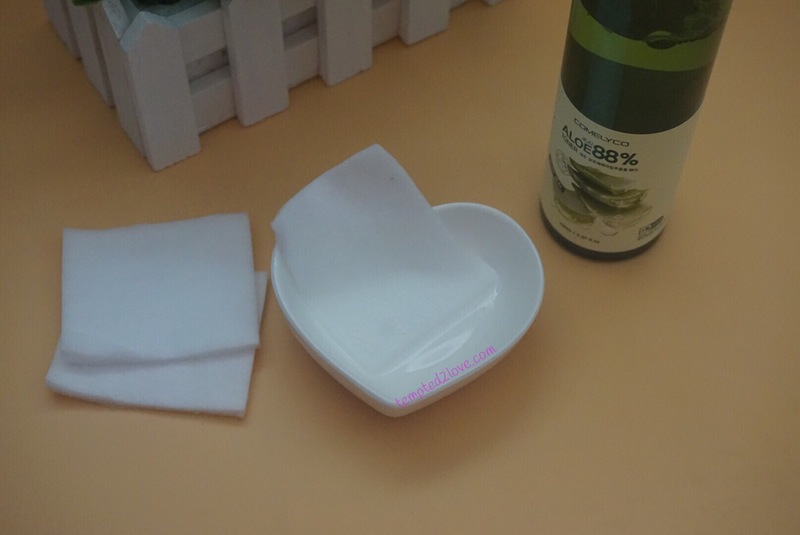 Something good for those who find removing makeup such hassle!! 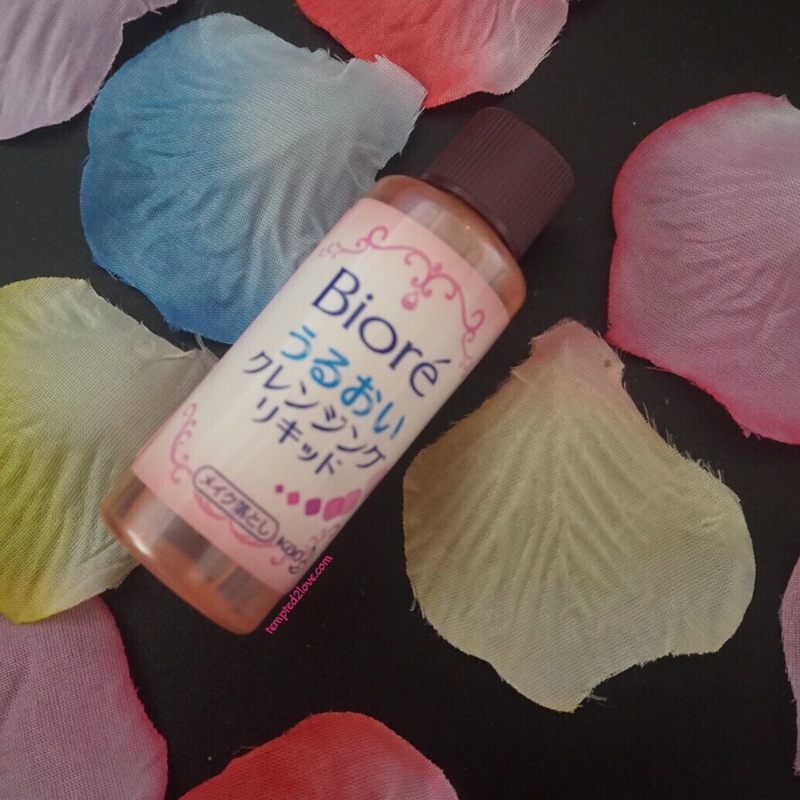 Bioré Aqua Jelly Makeup Remover was one of my die hard favourite before Biore Micellar Water Remover was launch! You can check out my previous post from HERE to see it’s effectiveness! 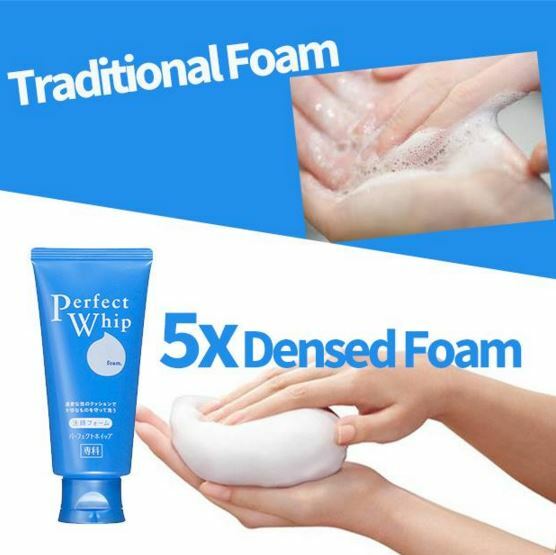 Senka Perfect Watery Oil (20ml) and Perfect Whip! 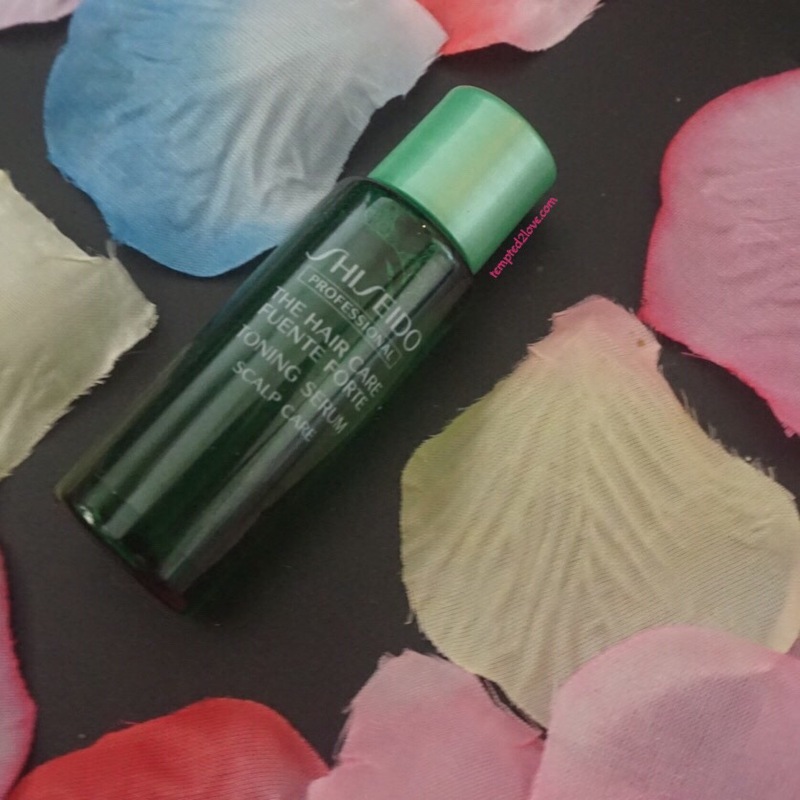 This is the third Shiseido product we have in this Trove! As for Senka Perfect Watery Oil, I bet you can tell its a makeup removing oil.. Don’y you love the simplicity of in-shower make-up remover? Perfect Watery Oil will be your ideal choice. It helps you to remove waterproof make-up and can be washed away instantly without any greasy feeling! 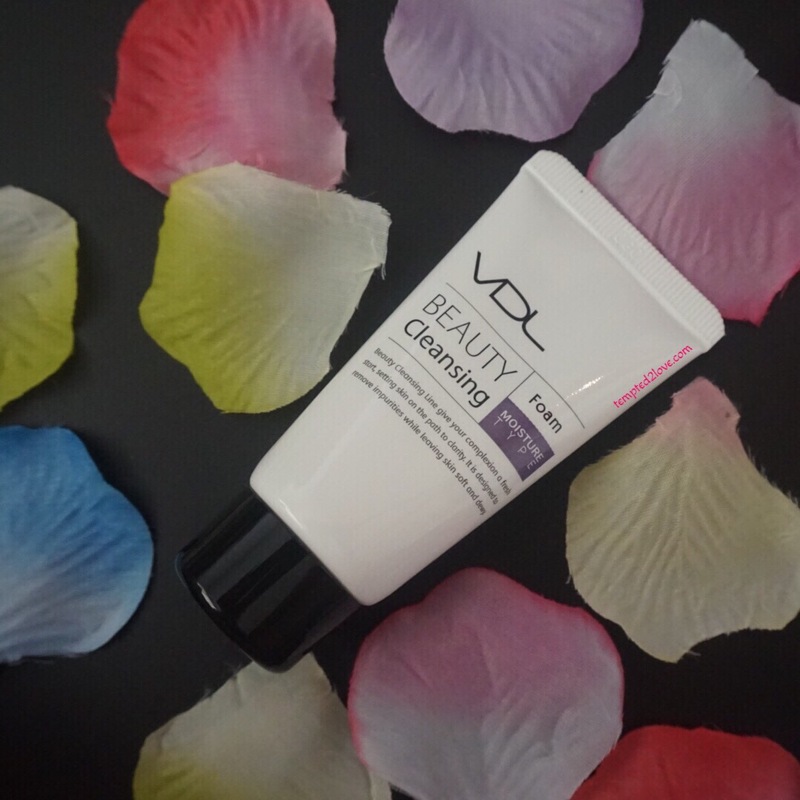 VDL Beauty Cleansing Foam – A moisture type cleansing foam that gently removes makeup and impurities while maintaining the skin’s moisture balance. ZA True White Essence Lotion, it’s a lotion + essence + emulsion ─3 in 1 skin whitener Reduces dark spots and evens out skin tone in just 7 days! Not sure if you can see in about picture but the lotion is filled with white micro beads.. These are the micro capsules that holds the whitening essences! Next up is a full size toner from Neogence! 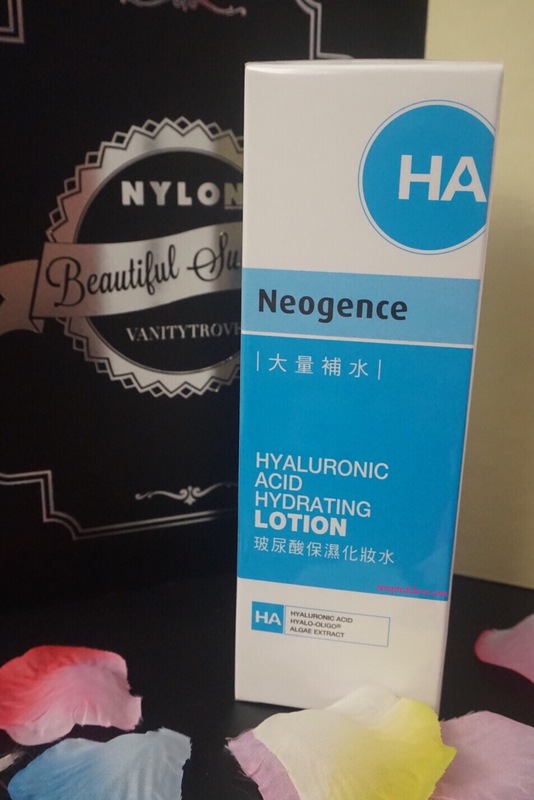 Neogence Hyaluronic Acid Hydrating Lotion – uses Hyaluronic Acid+Tornare, it supplies large amount of moisture to the skin, and at the same time maintains hydrous conditions after cleansing the skin, which helps to facilitate effective absorption. 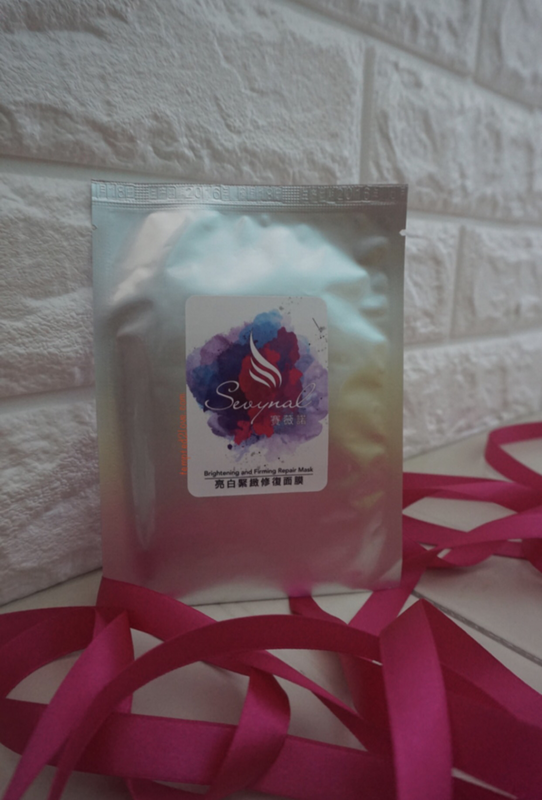 It has purified ingredients, is alcohol-free and soothes dry skin after undergoing a medical beauty treatment or sunbathing. Next up is CNP Laboratory Anti-Pore Blackhead Clear Kit! I’m sorry I can’t show u a closer look of the packaging because I threw them away already! OOPS! 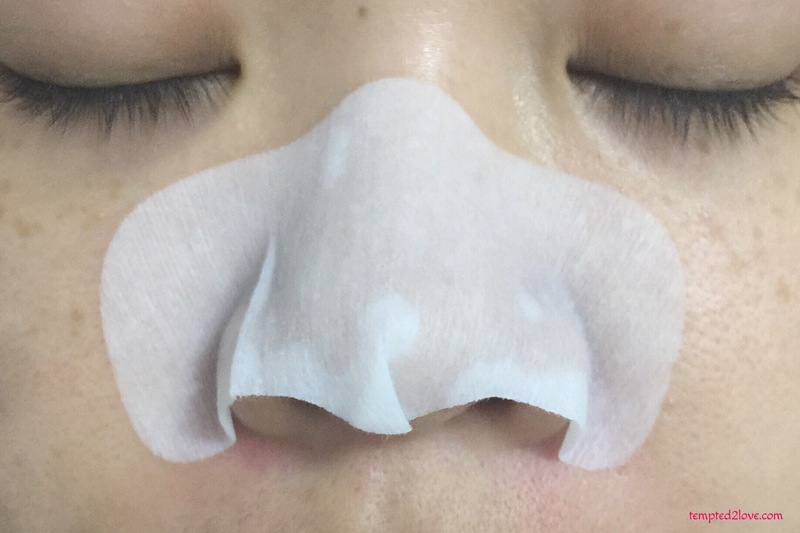 This is a 2-Step mask set that makes the nose appear cleaner. 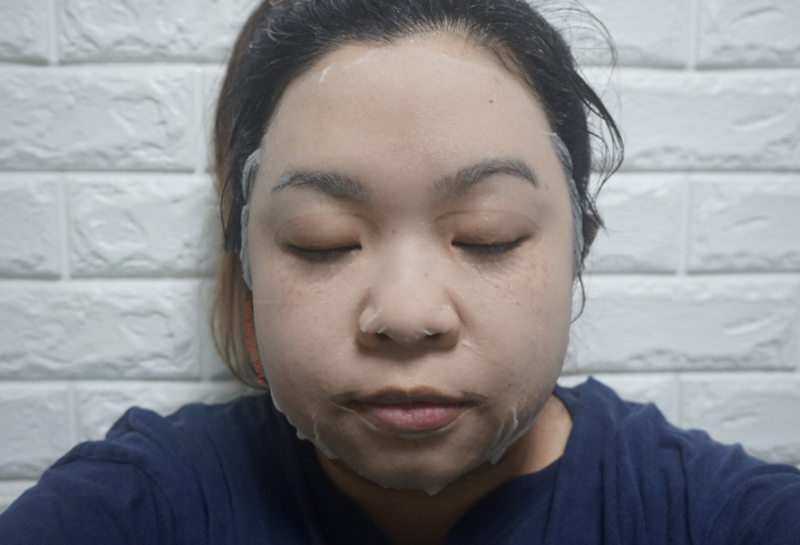 The Blackhead Clear Mask (Step 1) gently removes blackheads and sebum, while the Pore Tightening Mask (Step 2) effectively tightens the pores for a cleaner and smoother appearance. And you think after all this skincare, you are good to go? NO!! We need a good makeup base in order to make us look more flawless! Benefit POREfessional quickly minimize the appearance of pores & fine lines for smoother-than-smooth skin! Apply this silky, lightweight balm alone, under or over makeup. Translucent, oil-free formula complements all skintones and helps makeup stay put. Contains a Vitamin E derivative, known to protect skin from free radicals! 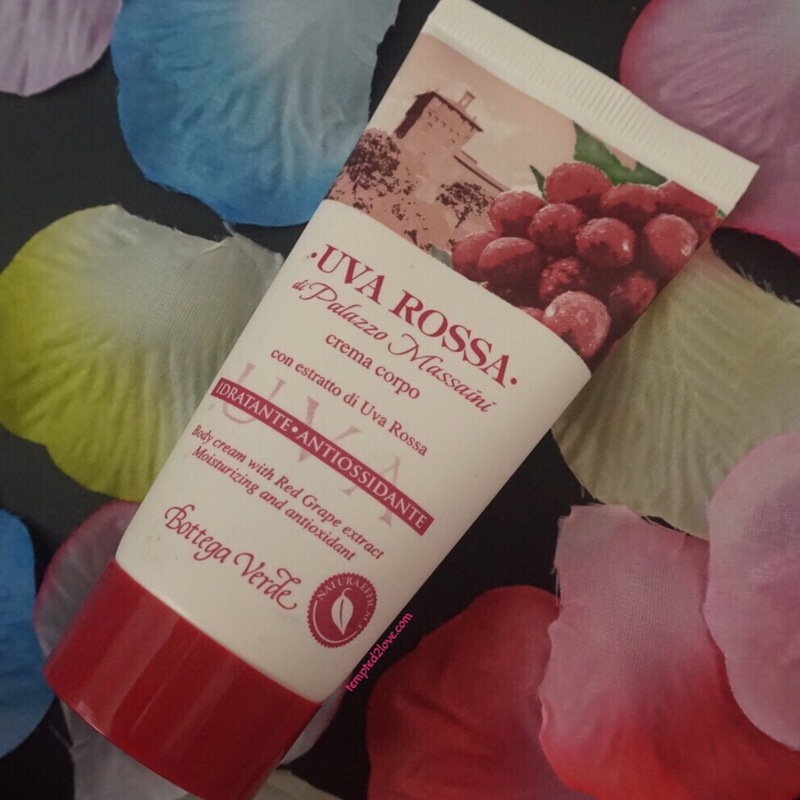 Last but not least.. We have Bottega Verde Body Cream With Red Grape Extract to pamper your body! Now that you’ve seen the items in this trove, are you excited to yours too!!!? Head over toVanity Trove website to find out more or click HERE to purchase your NYLON x VANITY TROVE now!! 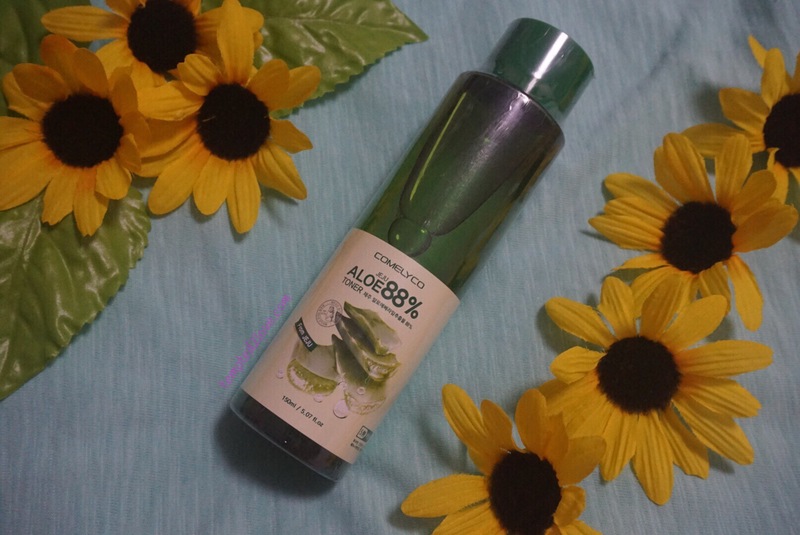 I never believe how Aloe Vera product can really hydrate our skin until Idoori shared this toner with me! 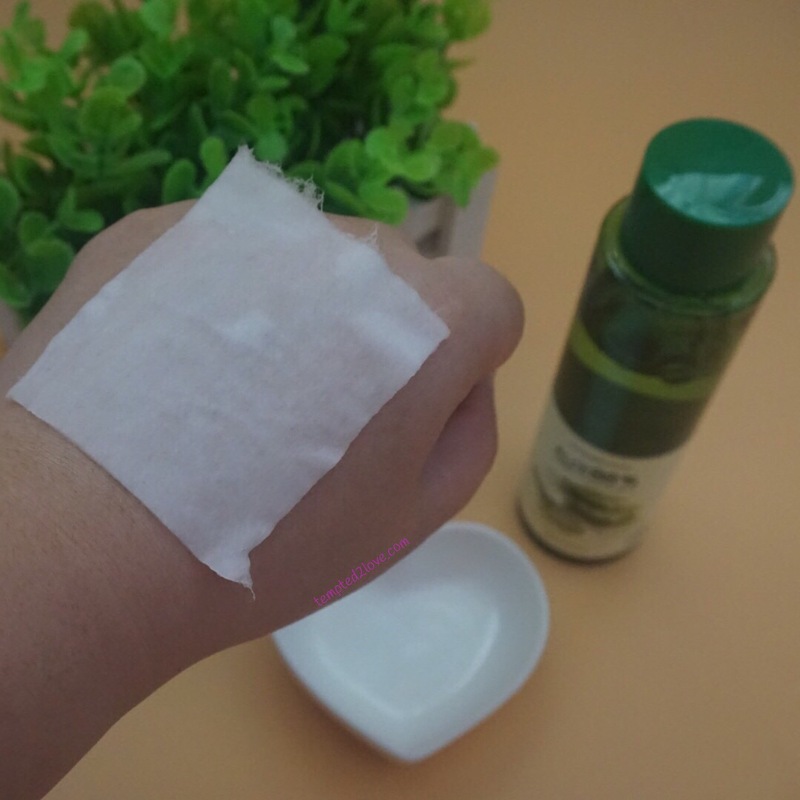 It contains 95% fo Aloe Barbadeniss Leaf Extract from uncontaminated area in Jeju Island so as to moisturize dry skin and sooth skin irritated by external environment and make moist skin. 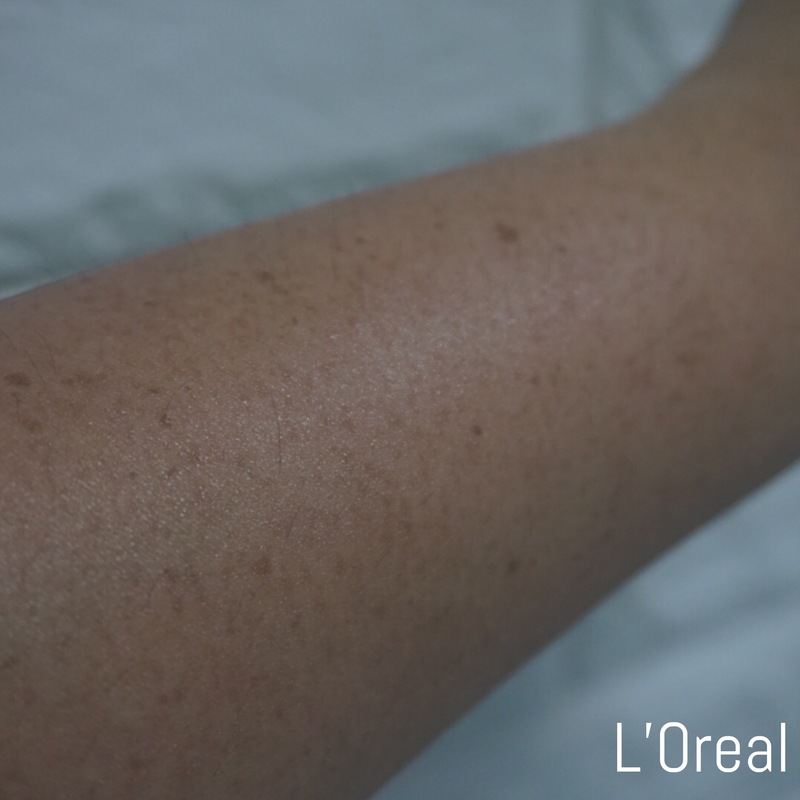 When I first try this product, I was quite blown away! Wow. 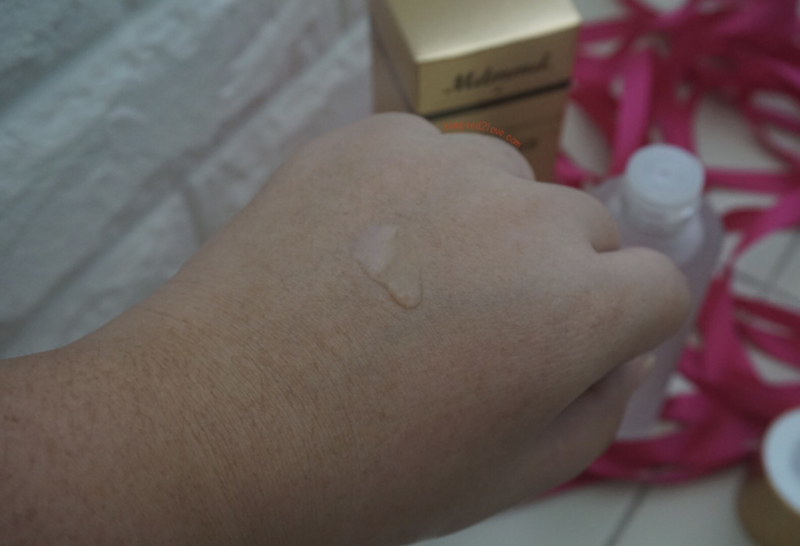 This doesn’t-look-very-promising-toner get absorbed by skin pretty fast! I can feel my skin loving it! 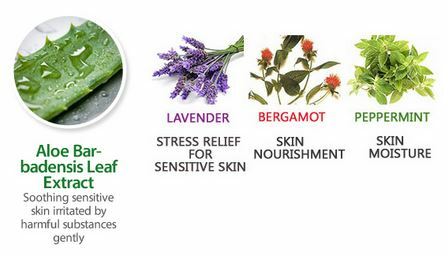 My skin feels instead refreshed and totally soothing!! In fact I noticed that I had lesser breakout these days!! Sometimes, I apply aloe toner not only to my face but my body too! Especially my hand! 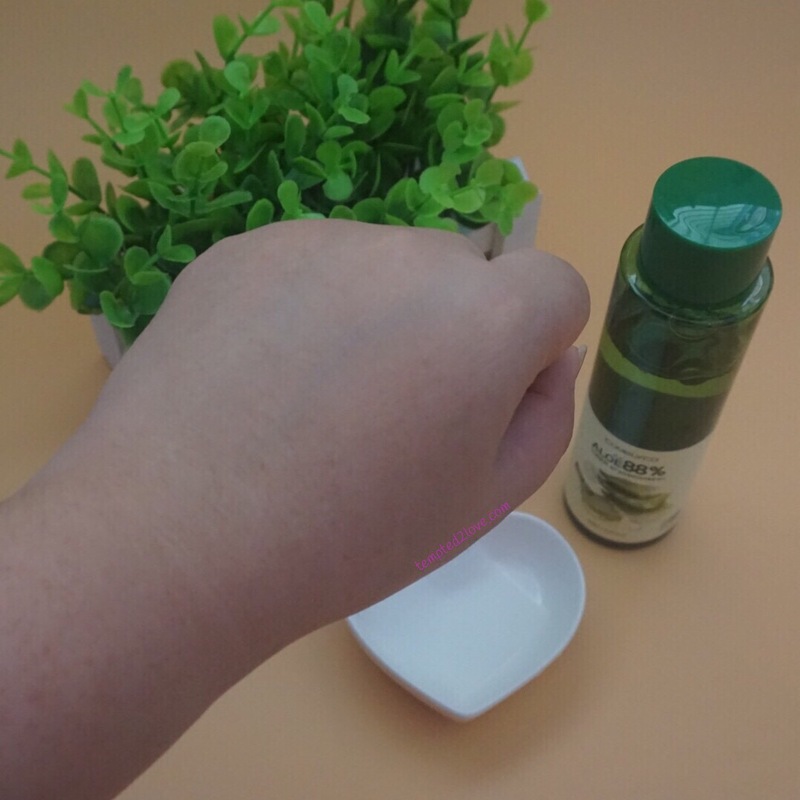 My hands are very dry and what I usually do is apply aloe toner after my shower and after that I will apply body lotion! Wah~ super hydrated all the way! When skin is hydrated, skin will absorbed nutrients better and less wrinkles too!!! 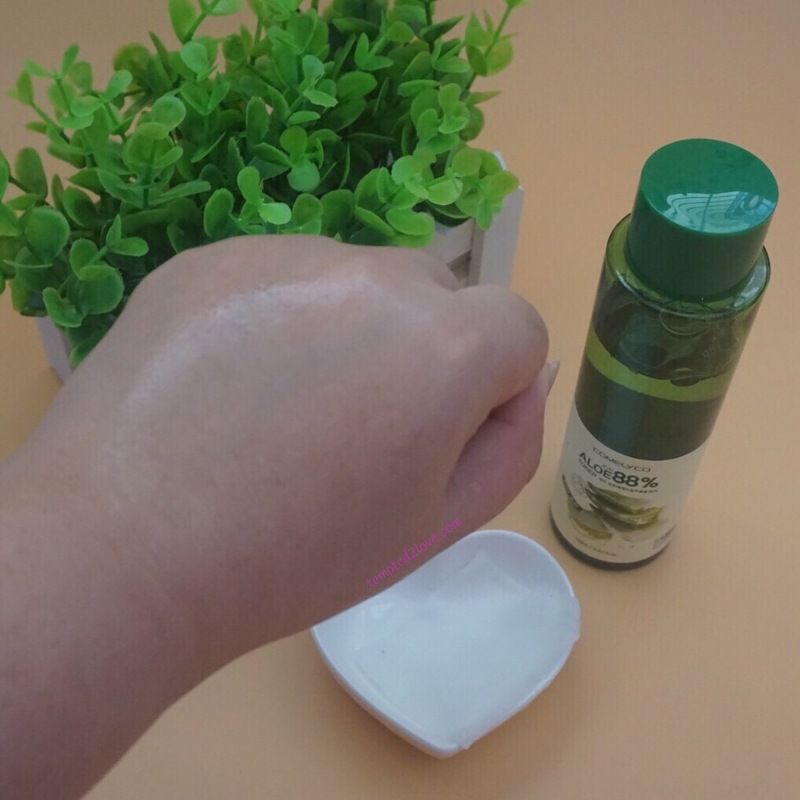 Aloe toner is really mild even sensitive skin is not a problem! It helps soothe the skin, remember? Will I buy again? Why not?? Although it’s aloe content is not the highest in percentage but I like the gentleness of this product! If you’re keen to get your hands on this beauty, head over to Idoori or Qoo10 to make your purchase!